With the release of their latest album, Big Blue World, and its infectious title track, the London songwriting and production team of Neil Fitzsimon and Bee Brogan have propelled their collective career into the pop stratosphere. They’ve earned worldwide critical acclaim, international radio airplay and charting, and even a nod from the Indie Music Hall of Fame: they earned an Achievement Award for the Top 2 performance of their lyric video, on the renowned Beat100.com video charts. 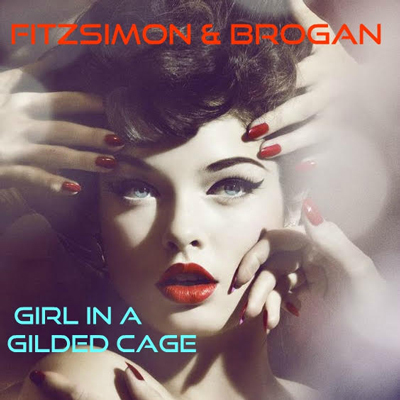 ABOUT FITZSIMON AND BROGAN: Neil Fitzsimon, the songwriter, and Bee Brogan, the vocalist, aim to produce “Pure Pop For Now People.” Preferring to remain faceless in an industry that holds image in high regard, the pair have gone on to form a songwriting/production partnership that led to placement of their songs in Film and TV. They also wrote a musical, Jack Dagger, which was showcased at the Greenwich Theatre, London for the Musical Futures Award. It was also showcased at the Bridewell and the Royal College of Music in London. They have also just had a song placed in a USA Sci–Fi Feature film. The duo recently had a track reach number 3 on a French national download chart. Their track, “This Is Love” earned the duo Semi-Finalist status in the Eurovision Contest. Their lyric video for “Big Blue World” reached #2 on the Beat100.com World Videos chart. They have been featured on the NBC Radio and Westwood One Radio networks. FaB are currently recording new tracks for WTPL Records with legendary Ziggy Stardust and the Spiders From Mars’ (David Bowie) drummer, Woody Woodmansey.